Welcoming people on board my yoga journey, a practice that has slowly developed from a traditional Indian Hatha one to one that has become a little more physical & core orientated. So expect a blend of flowing sequence whilst stopping to hold some more challenging ones, using the art of breath to help you do this. Competing only with yourself and at the same time consciously practicing patience, discipline and non- judgement of yourself and others as you move completely inside the moment. So you can expect what I would call a “Hatha Flow” kind of vibe from me as a yoga teacher. Bringing balance to both the body & mind. All levels are welcome in a class where I aim to bring a bit of an authentic feel taken from the motherland of India. Stretching and the relaxation element are key in prolonging health, time in sports & a happy fulfilling life. One to one sessions are available to where more focus can be put in on one person or a small group of two or three. More attention can be provided on aspects such as alignment, specific mindfulness tips related to you and a deeper understanding on some of the philosophy behind the practice. Even if you'd didn't want the full yoga experience, a full body mobility session can be provided to help sporting longevity, running/ cycling and effectiveness. Yoga has become very popular in the sporting world from benefits such as injury prevention, flexibility & control of anxiety levels on the sporting stage. This can be offered either at the local park or on a home visit basis. I offer monthly meditation workshops specifically based on Mindfulness fed through the pathway of Yoga. Mindfulness is something rooted from thousands of years ago and is finally just gathering some energy in the western world. Meditation is not levitating cross legged in the air! It is simply learning more about how the body feels alongside thoughts, sensations, emotions & triggers. Much needed in a world so fast faced we often get pulled into autopilot mode (“doing mode”) in our busy lives. Mindfulness is a practice and won't be effective with just the idea alone, there must be consistency and patience involved. That way, more people can reawaken the “being mode” inside them, the curiosity we used to have when we were all children. The more present you can be with in your days, the more you can show up for your lives and be happy. 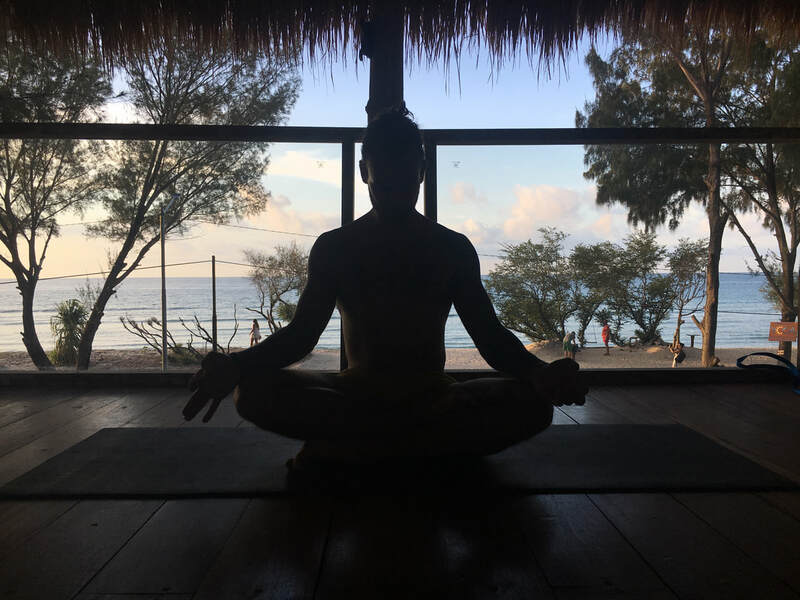 Hi I’m Ross, also known as “Yogi P” I have been teaching in some form for almost 10 years as a personal trainer, spin instructor or yogi, having also spent valuable time travelling and learning at university. Music is a huge part of my life too... that I keep in my life frequently through the path of electronic music production. 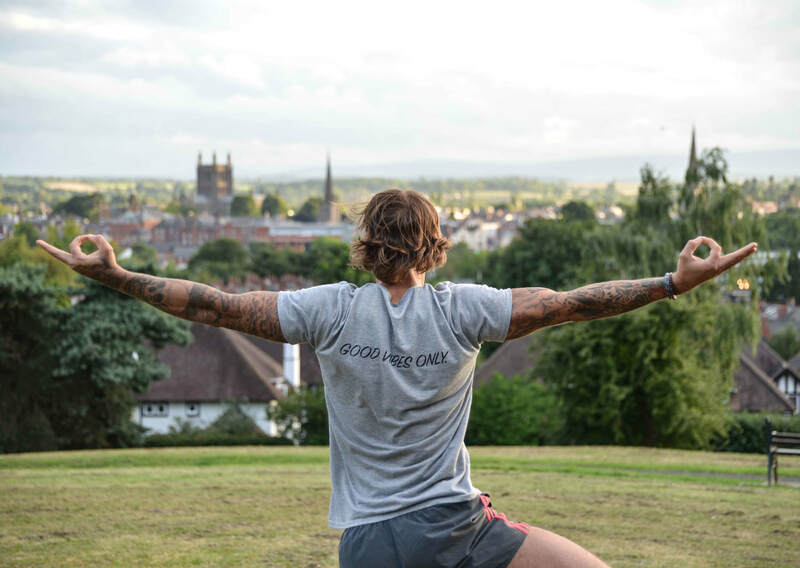 Once I graduated from Cardiff Met Uni I returned to my hometown Hereford, where I found some difficulties within myself, ones I had not had to face before. I became fascinated with books that focussed on self observation and awareness such as Eckhart Tolle’s “The Power Of Now” & inspirational reads such as Paolo Coellho’s “The Alchemist” & enlightened people as the Dalai Llama. It was through these readings of mindful teachings that I found yoga, a practice that could encompass these important values and principles. Soon yoga became the fascination to better myself, enhancing my effectiveness as a human being and view on life with the opportunities it holds for us. I left my job as manager in a gym to go to South Goa, India to get the required training needed to be able to pass on my experience via the pathway as a yoga teacher, combining both my physical background with my newly found mindset and fascination with mindfulness. I then returned home finally to start my own brand as Yogipfitness. Momentum followed and I have run my own yoga classes ever since and receiving a warming amount of positive support and feedback so far, feeling grateful and hugely rewarding to call this my job. Life is a canvas & we are all the artists of our own world, etching and chipping away one moment at a time. I achieved my Bachelors at Cardiff Metropolitan University 2015. Qualified, certified level 3 personal trainer for several years. 200 YTT South Goa, India 2016. Need a sharp lifestyle change? An extra push to hit your goals? Then opt for some PT and let me help you start your new journey, goal setting and tracking progress along the way. As well as training the minds, the bodies must be trained too, the vehicles of every person! One must take care of both their bodies and their minds and thats what I aim to do with a holistic approach. I specialise in a range of training methods such as strength training, muscle gain, leaning out, functional, MMA & mobility. I have been personal training & instructing group exercise for several years since the age of 18 at a variety of gyms and health clubs within Hereford & Cardiff. Find me now at JD Gyms in Cardiff! If you simply need a bit of direction in your training and a fresh routine to follow then I can provide you with a workout plan to help you on your way. People like this option because it gives them the flexibility to work within their own boundaries and chance to experience different ways of training. Online clients are something that keep me busy during the days and tend to refresh the routines after 6 weeks of consistent sessions to keep the body on its toes and keep it guessing, variability is key to training in my opinion. Training plans will of course be customised in accordance to your goals, limitations & enjoyment. These workout regimes cost just £20 and of course can be adjusted as you progress through the program to enable progression. Training just counts for one hour of the day, its what you do with the rest of the 23 hours that counts. I believe in a balanced diet, allowing yourself a treat now and again in moderation and with recipes and foods you can enjoy throughout with convenience. My ethos behind diet includes a certain food group named SIRT foods which have a thermoregulatory effect on the body. It is more inclusion of certain foods rather than the exclusion of some. Portion sizes, macronutrients and timings around your training are key players in the control of your diet. Fuel to perform, adjusting intakes on training days and feeding with the right kind of carbohydrates. My packages explain all of these things, alongside information on portion sizes, macronutrients, useful tips, SIRT food lists and explanations, finishing with a 7 day food plan and substitution lists based around that plan. To learn more about these customised packages, get in contact. This in depth nutrition package costs just £30. Nutrition plan was enjoyable and convenient recipes, lost 7lb in 10 days! YogiP brings his cool vibrations to yoga! contact ross to book on OR drop in to see if there's a space!